One or more photo(s) has been virtually staged. Pristine condition 2014 Southern Crafted two-story 4 bedroom/2.5 bath home in one of Land O Lakes premier gated communities. As you enter to 15’ ceilings, you notice the spectacular finishes: expresso wood floors and plantation shutters in living/dining areas as well as decorative tray ceiling. Move on to the eat-in kitchen and great room featuring vaulted ceiling, granite counters, high profile hardwood cabinets, stainless appliances to include 2-drawer LG refrigerator and natural gas cooktop. Oversized kitchen island faces your gathering space providing perfect entertainment opportunities with 8’ sliding glass doors to expansive patio (18’x23’) with decorative pavers. Master bedroom suite is on the first floor as well as one additional bedroom. Owners retreat offers a 7x12 walk-in closet, double sinks with granite, soaking tub and oversized walk-in shower. Upstairs you will find an open loft area and two bedrooms, each with walk-in closets. There is a new Tran AC system with transferable warranty, natural gas for stove, hot water heater and dryer, landscape lighting and sprinkler system as well as fully fenced yard. 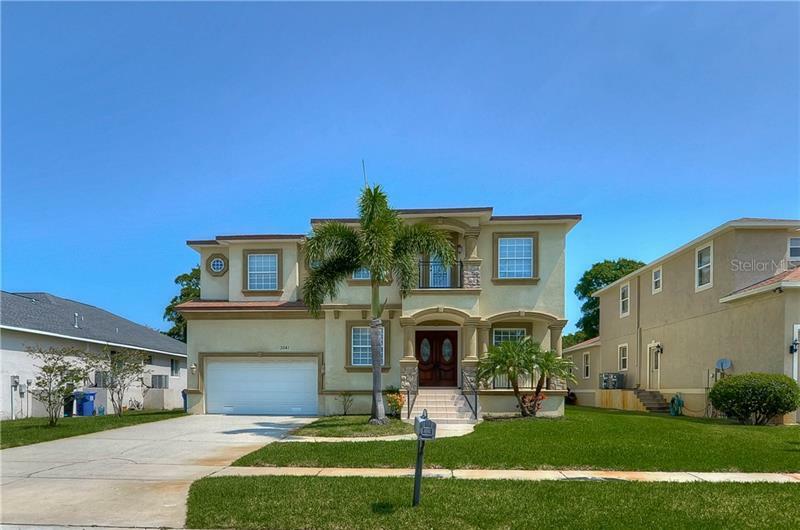 This beautiful home is move-in ready in excellent school district. Minutes from the veterans expressway and SR 41 and SR 75. Secure gated community with clubhouse, pool, fishing dock and playground. Fees include cable and internet.